I'll reproduce it [mildly abridged] here, you can follow the link above for the original post with inline images. The content is harsh but hopefully fair. 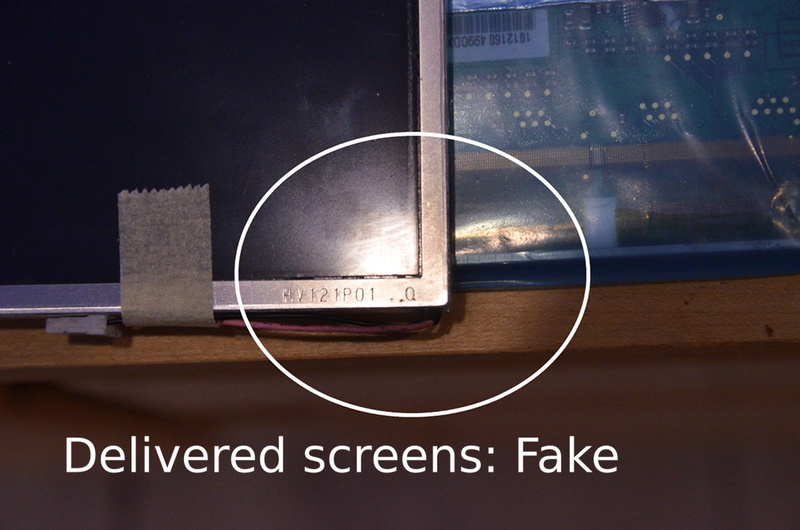 Most 'new' HV121P01-100 SXGA+ screens for sale on ebay, AliExpress, etc, are neither genuine nor new. When the polarizer damage is too obvious, the screen rebuilder can strip off the damaged polarizer film and install a new one. Like I said, good polarizers are really expensive, and I will say from personal experience that these rebuilders are, in general, not using good polarizers. Honest resellers are up-front when the polarizer has been replaced, and the protective plastic over the surface of the new polarizer will still be there when the screen arrives. Maybe you'll get lucky and it'll be a decent one. There's no way to tell ahead of time, but I personally won't bet on it. Solvents will also destroy most of the other components in the screen. Some rebuilders carefully separate the parts and only dunk the glass matrices, limiting the damage to the bonded polarizer. Others just dunk the whole darn screen and let everything dissolve except for the frame, electronics and matrix. These screens then have to be built up entirely from spare parts. Interesting. My SXGA+ has the damaged polarizer pattern sometimes (when it gets hot / close the lid with the screen on), but I get a white ring around the edge with that exact shape. Innnnteresting. And just to be clear a -100? it's from a tablet you bought new, or bought later? I'd love to pop the frame on that and have a close look at it. It was an Ebay acquisition many years ago, but unless someone took the trouble to remove everything, replace the screen and put the digitizer and front plate back on...no idea. Send me a PM if you're interested in a lid swap / trade and want to inspect this one.. I'm always interested in more data! Seriously, regardless the reason for the damage, I'd like to see it/study it a bit. PM with what you'd like in trade, or I'll hit you up in a day or two while I'm catching up wth LED kit orders. I have lots of extra NOS parts, though no NOS screens right now (all my screens have been tampered with, either by me or by the original seller). There goes my dream for an SXGA/QXGA 61 X/T thinkpads.. If I ever do find one, do you do the whole removal + LED installation? It goes against my DIY ethic but experience shows that knowing your limits is more important than hoping to get stuff done right. By the way, what are your thoughts about the 12.3 UXGA inside an X61? This is the panel http://www.panelook.com/LD123UX1-SMA1_L ... 26101.html but it's slightly larger and it uses MIPI instead of LVDS - quite a bummer. Not sure if it's even possible, honestly. 51NB will find a way. They always find a way. I'm on it, but it's not easy. I'm trying to use Lattice Crosslink with the OpenLDI/LVDS to MIPI DSI IP as an adaptor. Sweet. Does the lid require modding? That would be my first practical concern. I have yet to remove the touch glass in front of the display, but I wanted to get the electrics working first. On a first glance, it should fit a TMD (ultralight display) lid without modding (except cutting the rubber display holders slightly). A normal lid may require some modding as the UXGA display has no eyelets to fix it to the lid. Shouldn't be too hard, though. I wonder if we can preserve the touch feature on that screen! That would be amazing. Were you able to get the software to build correctly the 2nd time around, by the way? The DUPONT DISLAY ENHANCEMENTS (= DuPont Vertak direct-bonding adhesive) sticker belongs on a -101 screen, never on a -100. So on this screen at least the -100 sticker is fake. Thank you for your comprehensive post! Too late for me, here's one that has been already ripped off. I suspected that, for the price I've paid (Eur 78, shipping included), there was a refurbished -or fake- LCD, but I tried it. I've been relatively lucky. 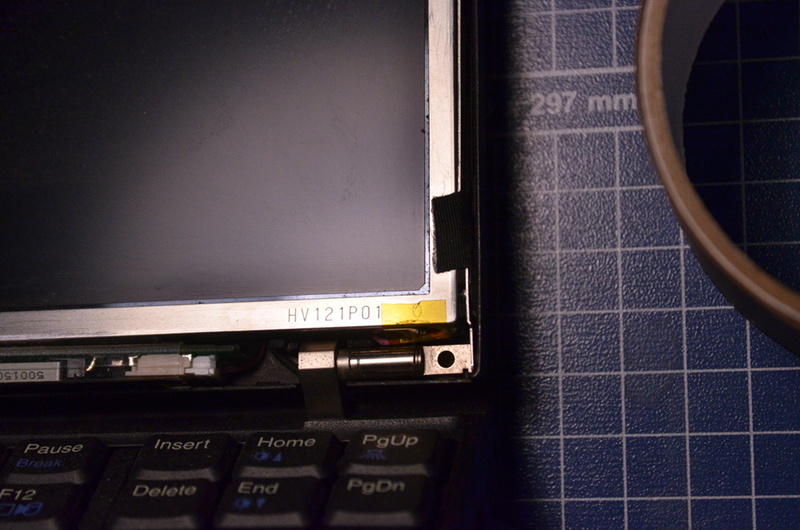 I've the LCD already mounted in my X61, and colors/contrast are OK side by side with my original SXGA+ X60T. Viewing angles are not as good as in the X60T, but only by a very slight margin. In my case, this SXGA+ LCD has been an improvement over the IPS XGA, but now I see how risky is it. And I didn't pay that much, but there are chinese sellers selling these screens for much more three times the price I've paid! BTW, I suffered this "CRT TV effect" many years ago, in a B/W Compaq LTE lite I used to have. 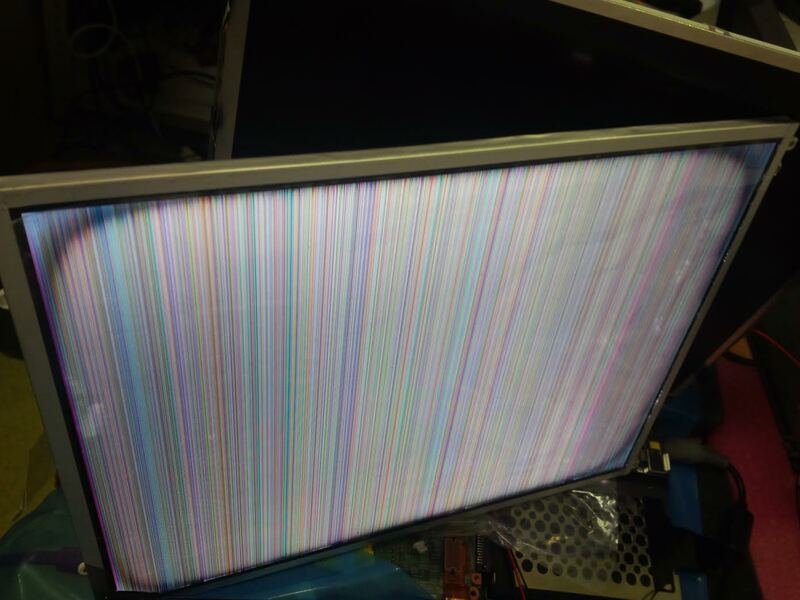 You powered it on, and the TFT screen was OK. After some time of being working, the corners began to become clearer, and after some hours there were almost white and you had to turn off the laptop and wait the TFT to cool down. Off topic but how was the TFT Mono screen on the LTE Lite 4/25E? I liked it, it was nice, with good contrast (in that era), and the "B/W effect" had a special charm. It was much better in terms of contrast than standard non TFT screens. Any progress with the project? Tangentially related question, I have a pair of X60s-es with spotty screens so I'm scouting for replacements. It's not just a drop-in replacement for IPS screens, is it? (Even with just the XGA one.) In this somewhat old guide for putting an IPS in non-Tablets, it mentions a converter cable is required, but the eBay link is long dead and I can't find any information about where to get this sort of cable. Where could I get one? And with that in mind, what screens are compatible with X62 mobos? I suppose if it's all too complicated I'll just get the regular ultralight TN screens, I guess the risk of something broken from shady AliExpress sellers is way less, right. Trying to balance my desire to be a screen snob with the effort of it all! 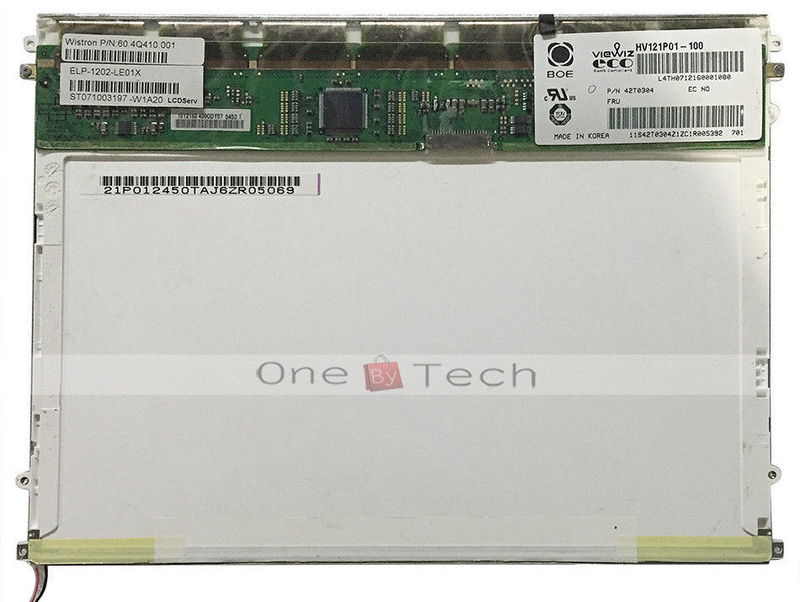 X60T and X61T complete screen assembly are 100% compatible with each other. 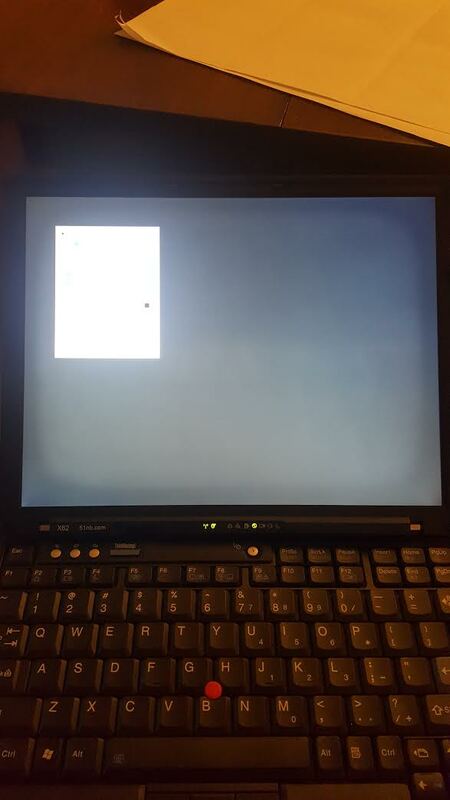 It's a simple swap and I've got a few machines with a X60T lid (SXGA+ screen, colour logo) attached to a X61T body. Regarding the adapter, either you make one, or modify the existing cable. Not sure if they're available in Taobao or Aliexpess. The X62 board is compatible with the regular X60/61 screens, The ones that are sold by HOPE and his team with IPS screens use an adapter cable, which they probably made themselves. The X60/61 IPS upgrade is very far from "drop-in replacement". Aside from the converter cable, you also have to remove the mounting tabs near the corners. Without the right tools and technique, you can end up cracking the screen-- I speak from personal experience (and tragedy) as I broke one. If you end up getting a screen with the protective glass still attached, you have to remove that too. Just pray you don't get one from an X61 Tablet, as the glass is bonded to the screen with a very sticky goo that's a pain in the backside to remove. Last edited by axur-delmeria on Fri Jul 20, 2018 1:03 am, edited 2 times in total. Correct on all counts. Beware buying cables on alibaba as well--- I bought a lot of 100 for way too much money to convert, and nearly 75% are bad--- the LVDS lines work, but random status LED lines and especially the bluetooth lines tend to be cracked. Know your seller! I keep making this mistake myself, and it bites me hard a good half of the time. I tweaked it the other direction and the problem disappeared. By how much did you turn it? Tried it on a screen without the retro-tv effect with no visible effect. I have two screens with darker left side edge and corners. But I cannot imagine how I could have managed to change the adjustment of VR1 when modding the screen. I do not have your problem with the fake screens. I know that mine are all original -101. 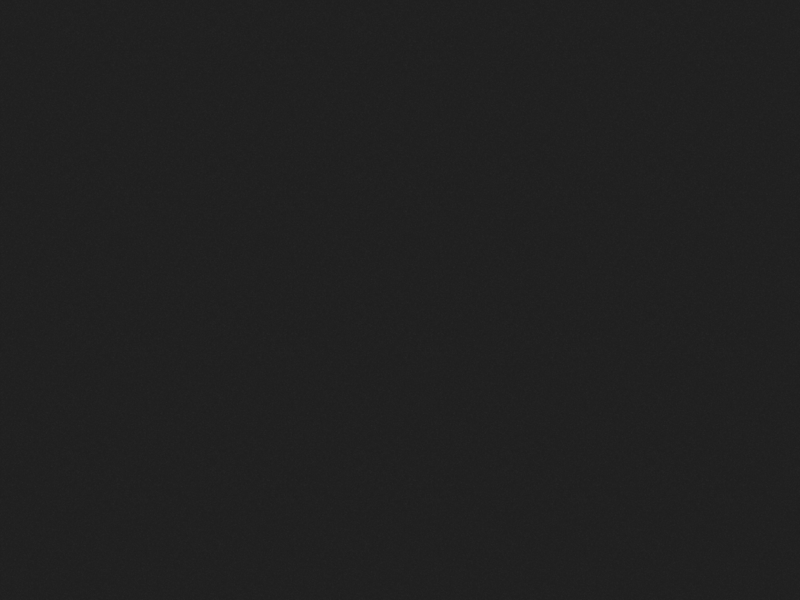 Thanks, but I do have lots of dark gray test images. I can say that the retro-tv effect can get better by time. Takes several months. I always thought the effect was due to static electricity in the layers of the screen. But that was simly guessing. *nod*, just giving you my specific worst-case test screen for the examples here. I'm waiting to hear back from a few others w.r.t. their retro-tv screens. How many have you had pass through your hands? Did you have nay other theories you tested and discarded? I have had 11 -101 screens pass through my hands. And I remember seeing the retro-tv effect several times over the years. No theories as to the cause. Mine happens specifically when I close the screen but don't turn it off. That seems to me like it's a temperature problem or something, since the screen would be heated up by the laptop body (maybe). In my case the edge turns completely white, regardless of what's being displayed and I can repeatedly make it happen. When I open the screen back up it fades after a few hours.